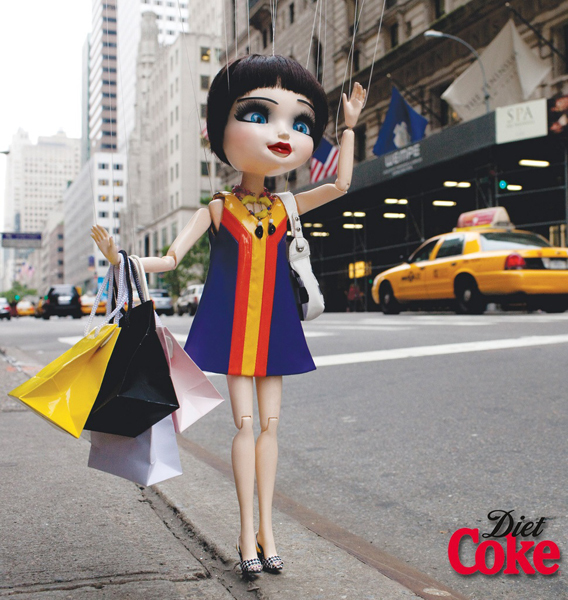 Diet Coke is launching a new multi-million pound brand campaign for girls who ‘Love It Light.’ Kicking off in 2010 the iconic female brand will celebrate the lighter side of life with a series of show-stopping fashion-led creatives. Like Diet Coke, the ‘Love it Light’ campaign will encourage women to embrace a lighter attitude to life and make them feel great. The disruptive campaign uses women’s universal love of fashion to excite and reward as Diet Coke partners with two of their favourite brands – ASOS.com and Bauer Media. The fully integrated campaign comprises a new TVC 1, on-pack promotion, social media and digital plus high impact outdoor advertising; reaching women via multiple touchpoints. The first pillar of ‘Love It Light’ will launch on February 15th with what’s set to be the most talked about on-pack promotion of the year – free fashion mags, ASOS.com clothes and a fabulous new pack design. Bauer Media’s Heat, Grazia, Closer and more! magazines will be available via loyalty site Coke Zone when they purchase special promotional packs (2L bottles and fridge packs). Women will have the chance to ‘get the look’ and win an outfit every 30 minutes from leading online fashion store ASOS.com, plus £5 off their next order of £20 or more on site (using codes on 330ml cans and 500ml bottles via Coke Zone). Set to be this season’s hottest accessory Diet Coke packs will work a striking hot pink leopard print design, taking one of 2010’s hottest looks from catwalk to can. 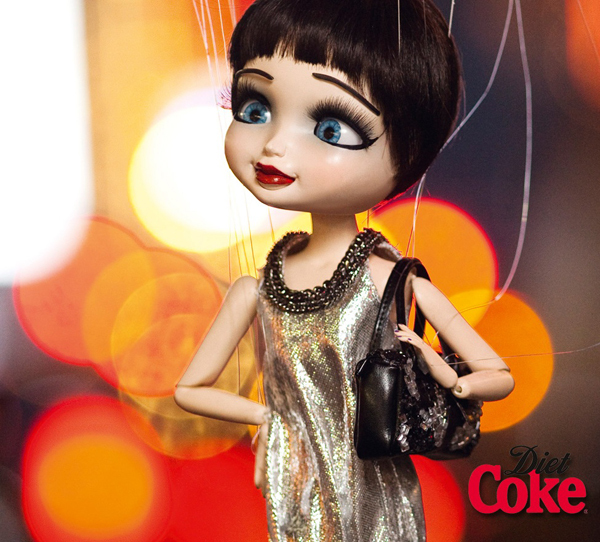 The new campaign will be supported by an exciting new TVC in March, featuring three sassy female puppets who encapsulate the ‘Love it Light’ spirit. The girls will appear on the iconic Coca-Cola Piccadilly sign. In a multiple platform execution, the advertising campaign and brand experience will be supported with an exciting new Diet Coke Facebook hub, a year long partnership with ASOS.com including a ‘Love it Light’ Fashion collection & partnership with Kiss Radio. Posted in News, Social Media and tagged Coca-Cola, Diet Coke, soft drinks. Bookmark the permalink.